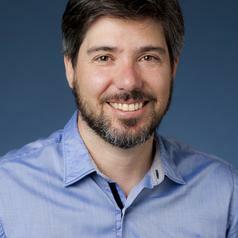 Matt is the director of the Critical Making lab at the University of Toronto. This facility provides students and faculty researchers with basic electrical, craft, and computing equipment that can be used to design, develop, and explore material fabrication and technical prototyping. Matt is also the director of the Designing Digital Media for the Internet of Things consortium, a private-public-academic consortium interested in investigating, exploring, and building capacity around new developments in tangible interfaces, smart objects, and digital infrastructures. Departing from the traditional model of the hackerspace, DDiMIT is an “digital economy trading zone”, a virtual and physical space where Ontario companies, academic institutions, and community organizations can leverage their joint knowledge and skills in order to support each other in doing novel research, creating innovative products and services, and fostering creative and engaging work in the Internet of Things.